A good ranking of classic Disney animated movie soundtracks — Sorry, Internet. Everything mentioned in the above list is present in my rankings, with the exception of The Hunchback of Notre Dame, which I could not remember well enough and did not care to re-watch, and with the notable addition of The Jungle Book, which was originally released in 1967, due to the bonafide stone-cold classic status of several key songs in its soundtrack. I imagine that most ~*'90s kids*~ grew up feeding off this run of Disney animated films just like my sister and I did. The Little Mermaid came out a year before I was born, and Tarzan came out just before I turned nine, so I feel like it was very convenient for my mom to be able to plop these VHS tapes into the VCR and call it a day as we sat amused and giggling for hours. On any given summer weekday when school was out, depending on the year, my sister and I could be found watching Mulan or Aladdin or any of these other choices on a continuous loop. And while I feel the Pixar movies get the most credit today, it's not up for debate that some of these choices are truly great films. Their soundtracks are incredible, too, which is what brings us here today. These films featured the likes of Elton John and Phil Collins as celebrity collaborators, along with the sheer brilliance of Alan Menken, who worked on several of these films and wrote objectively essential tracks. The following is my ranking of nine soundtracks, which is a correct ranking and is very good, along with some color commentary about each. Standout tracks: "You'll Be In My Heart," "Two Worlds," "Son of Man," "Strangers Like Me," "Trashin' the Camp"
SON OF MAN, LOOK TO THE SKY! If you look toward the sky, you will find the hidden truth that the Tarzan movie features several highlights that combine together to make this a great Disney soundtrack. 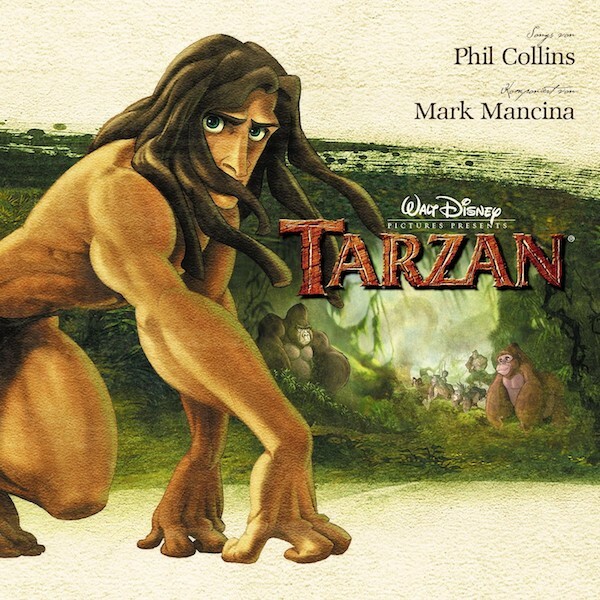 Phil Collins is at the wheel here, and I'm actually willing to say that the Tarzan soundtrack is the best work that Phil Collins has ever done, inclusive of his work with Genesis and his solo albums that spawned such hits as "In The Air Tonight," "Sussudio" (a personal fave), and others. There are five genuine smash hits here, which I've listed above; "You'll Be In My Heart" is an essential '90s ballad, "Two Worlds" is a terrific mix of soaring vocals and theatrical flourishes, and "Son of Man" is some bonafide pop-star stuff. Listen to "Son of Man" right now and tell me that it's not begging for a quality pop-punk cover. It also bears mentioning that *NSYNC contributed to a version of "Trashin' the Camp," which means we get two great versions of that song on this album. Standout tracks: "I Just Can't Wait to Be King," "Can You Feel The Love Tonight," "Circle of Life," "Hakuna Matata"
HITS ONLY!!! I believe that many people, if you asked them on the street, would point to Elton John's work on The Lion King as the number-one Disney animated soundtrack. It's hard to argue with this, and this movie has the added bonus of Hans Zimmer's work on the score, an area where Tarzan is slightly lacking. Perhaps it's nothing more than personal bias, but I feel the highs on Tarzan slightly outstrip the tracks here. There are, however, a nearly limitless number of nice things I can say about The Lion King. First off, it's a huge bonus that the album contains both cast member-sung and Elton John-sung versions of its three most crucial hit songs ("Circle of Life," "I Just Can't Wait To Be King," and "Can You Feel the Love Tonight"). Maybe something that gives me pause here is the total theatricality and ballad-ness of the two most important tracks, whereas Tarzan offers more tempo variety. Certainly "Hakuna Matata" is a fun romp, but perhaps doesn't offer the same replayability as other tracks here. Standout tracks: "I'll Make A Man Out of You," "Reflection," "A Girl Worth Fighting For," "Honor To Us All"
As I write this, it stands to reason that my age may have quite a bit more influence on these rankings than I originally thought. I would assume that my parents would highly prefer The Little Mermaid, Aladdin and The Lion King to Tarzan and Mulan, but being eight and nine-ish years old when the latter two were released aligned helpfully with my burgeoning thoughts on music -- i.e., my realization that music was a thing that I liked. 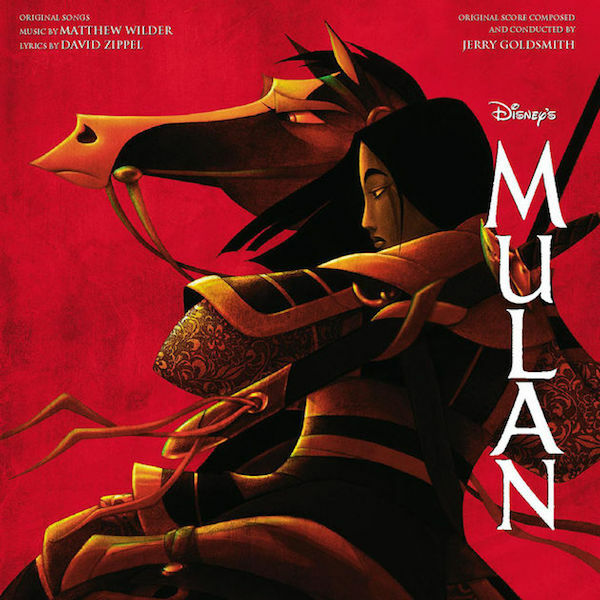 Mulan's two best hits are "I'll Make A Man Out Of You," which I've repeatedly told Knuckle Puck to cover for the only Punk Goes compilation that would be worth creating anymore, Punk Goes Disney, and "A Girl Worth Fighting For," which only contains the issue of ending its name on a preposition. Please also reference the amazing single "Reflection," which was performed in a special version by Christina Aguilera. Standout tracks: "Part of Your World," "Under the Sea," "Poor Unfortunate Souls," "Kiss the Girl"
HITS ONLY!!! Multiple incredible hits here. All of the above-mentioned are important singles, but "Part of Your World" has earned a particular soft spot. "Kiss the Girl" is one of the best songs on any Disney soundtrack, do not @ me. Also, don't sleep on this Ashley Tisdale cover of that track on the memorable album which we all have on our CD shelves, Disneymania 5. Extreme jam. Standout tracks: "Be Our Guest," "Beauty and the Beast," "The Mob Song," "Belle," "Gaston"
This is around the point where ranking these soundtracks starts to feel like a fool's errand. Seeing the Beauty and the Beast soundtrack midway through a list just seems wrong. This has "Be Our Guest" on it! An incredible movie moment and a joy to listen to at any moment. Try the gray stuff. The title track is obviously a heart-wrencher and Céline Dion contributes her own version of the track, and there's an understandably overshadowed Jordin Sparks cover as well. The live-action version of this film, released in 2017, adds to the soundtrack's legacy with a "Beauty and the Beast" rendition performed by Ariana Grande and John Legend, and the likes of Ewan McGregor, Emma Thompson and more on "Be Our Guest." Standout tracks: "Arabian Nights," "One Jump Ahead," "A Whole New World"
Just like the last one, it feels insane to see this so low on the list. "A Whole New World" is so strong on its own that I expected this soundtrack to earn a higher ranking. At some point, I think numbers 4-6 on my list are pretty interchangeable for me. Standout tracks: "The Bare Necessities," "I Wan'na Be Like You"
Both "The Bare Necessities" and "I Wan'na Be Like You" are amazing ... but the soundtrack's relative lack of supporting songs lowers its ranking for me. The 2016 live-action version of the movie was an incredibly fun film to watch, and features some cool fresh versions of songs, including a sultry "Trust In Me" by Scarlett Johansson. The original version of this soundtrack has been removed from Apple Music at some point in the year of 2018, which feels rude. Standout tracks: "Go the Distance," "The Gospel Truth I, II, III," "Zero to Hero"
A couple of great songs on this one, but overall they aren't as strong as the stone-cold classic we've discussed above. Hercules as a movie was one of my favorites growing up -- I used to have a plate with Hercules' face on it that said "you look like a meat and potatoes kind of guy" on it, which I would regularly eat my mother's black beans and rice off, and my sister used a matching plate that had Meg's face on it. One thing that adults should do more regularly is use plates and cups that feature media on them. Standout tracks: "Just Around the Riverbend," "Colors of the Wind"
"Colors of the Wind" is objectively dope, but like Hercules and Jungle Book before it, I find the relative lack of strong supporting tracks to be the deficiency here. An underrated movie that could be interesting in live-action format today if done tastefully.